NOTE:Colors might be slightly different depend on monitor screen. 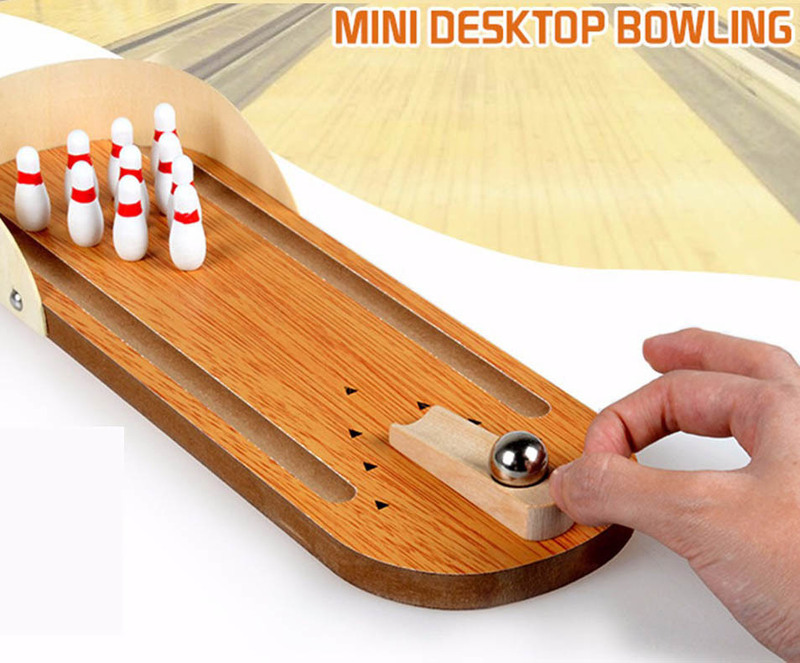 - Place the bowling bottles onto the corresponding holes in the wooden channel. - Place the steel tank on the beginning end of the channel. - Put the bowling ball on the steel tank and let go!